Though it is common, eating while driving is more risky than many drivers may realize. 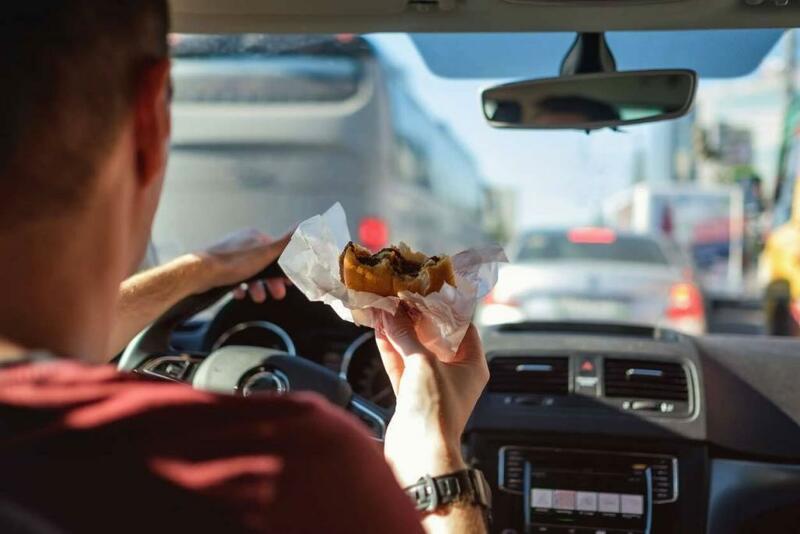 Whether its a quick meal on your commute or a fast food stop during a road trip, many people will admit to eating while driving. Unfortunately, this behavior is more risky than you might think. Here’s why. The NHTSA estimates that in 2015, 391,000 people were injured as a result of distraction. To give you some perspective, this statistic means that distracted driving is the second most hazardous behavior out on the roads, trailing only alcohol. As you can see, this issue leads to a significant amount of tragedy and likely deserves your attention. When you read about distracted driving, you likely think about texting, calling, and other forms of phone use. The reason is that these activities are the most common forms of distraction. Still, any action that takes a driver’s attention away from the road fits into this category. Eating behind the wheel definitely fits the bill, as it requires both your hands and your focus. There are two reasons why people engage in this behavior. The first is scheduling. Many find themselves rushing to their destination and not having enough time to eat before they get in their cars. The result is a driver that eats on the go. The second reason is that some people simply enjoy eating behind the wheel and don’t think twice about it. The following methods are excellent ways to stay safe while on the road. Realize The Hazard – The first one comes down to simply respecting that eating behind the wheel is a problem. If you do, you’ll be less likely to engage in this behavior. Stay Ahead of Schedule – As we mentioned above, many people eat because they do not have enough time in the morning. You can avoid this trap by waking up earlier and scheduling time to cook and eat. Stop to Eat – As long as you’re not in an emergency, you can likely stop to eat. Doing so will be more relaxing, and it will keep you from being unsafe to yourself and other drivers.